How to Clear Data on iPhone – iMobie Inc.
How to erase data from iPhone? This guide will tell you an easy and quick tool to clear iPhone data with three steps. 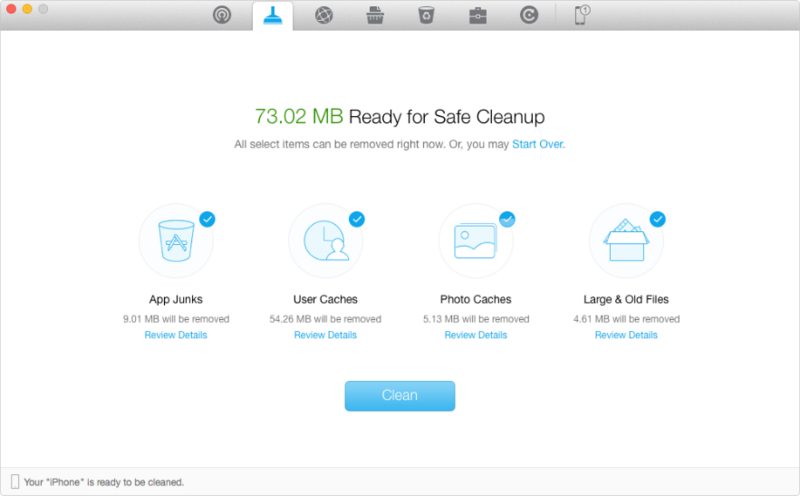 PhoneClean is an award-winning program that aids you to erase iPhone data permanently. Please read this guide to know the process. Question:" I got a new iPhone and transferred all of my data from my old iPhone via iTunes. I also connected my new phone to my provider. My new phone works great so now I want to sell my old iPhone. I know how to erase the content through the settings, but now I can't sign into my iCloud to delete everything since my phone has no service. My Wi-Fi is also broken on the old phone (hence the new phone) so it wont let me delete everything. Does anyone know a way to delete all of the data without having service or Wi-FI?" When getting a new iPhone, you had better erase all data on the old iPhone to protect your personal private data before selling it to others. How to erase data from iPhone? Using the default erase setting built in iOS, or restore factory setting to erase data from iPhone sounds great. However, deleted data could be recovered with some professional iOS data recovery tools. How to delete data from iPhone thoroughly? To erase data from iPhone completely, this guide will offer you an easy and quick tool to help you solve the problem. 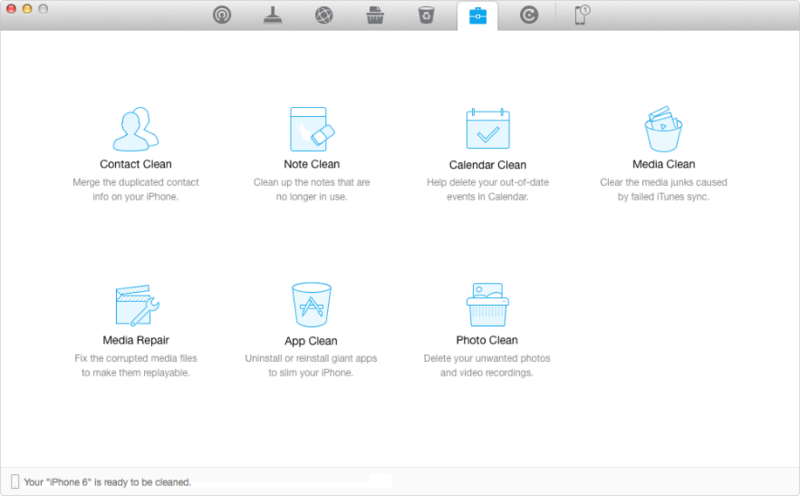 PhoneClean is an all-in-one cleaning tool to clear the unwanted content on iOS devices. It will dig deeply around every corner of your iOS device and strike out the data like call history, messages, Safari history, browsing history, etc. It offers a mode named "Toolbox" to let you delete photos, media, apps, notes. It will create backup files before starting any scanning and cleaning steps. Free download and install this software on your Mac/PC to erase data on iPhone. Connect your iOS device with computer by a USB cable. Step 1. Use Quick Clean to delete app junks, cookies, temp files, cashes, downloaded temp files, photo caches and some large and old media files. Notice that you can’t delete app junks via PhoneClean if your iPhone is in iOS 8.3 or higher. Step 2. 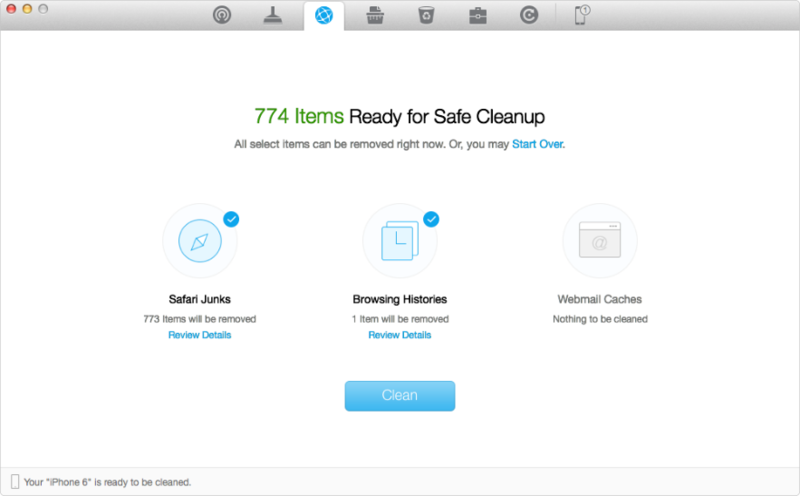 Use Internet Clean to remove Safari history, webmail caches, Safari caches and cookies. Step 3. 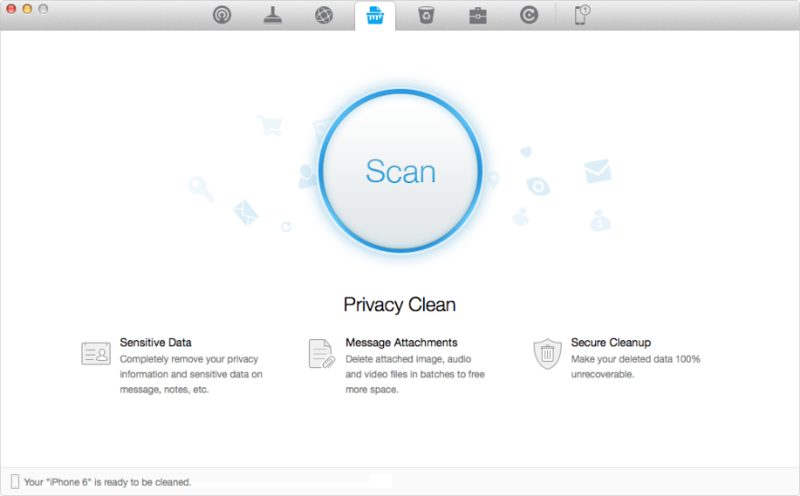 Completely clean privacy information, such as notes and call histories by using Privacy Clean. Step 4. Use System Clean and Toolbox to get rid of leftovers, duplicated contacts and some other items you don’t want. Before cleaning data and junks on your iPhone, you could click “Review Detail”on each category to check the items you are going to remove. If the items are not what you want to get rid of, you can de-select them. You needn’t worry about iPhone data loss, because PhoneRescue will backup your device before deleting. PhoneClean empowers iPhone users to delete the data stored on iPhone and protect your personal data from leaking. Please let us know by leaving a comment if you still have any question, and share it with your friends if this guide is useful for you. Why not give a shot on it now?